BUSINESS ON THE ROAD — TUFF PEACH CRAFT CO.
WE HAD ALWAYS DREAMED OF DRIVING AROUND THE COUNTRY IN A MAGIC SCHOOL BUS, WHO DIDNT RIGHT? WELL LUCKILY WE FOUND A PARTNER IN THIS WORLD WHO WANTED THE EXACT SAME THING. SO WE DID IT. 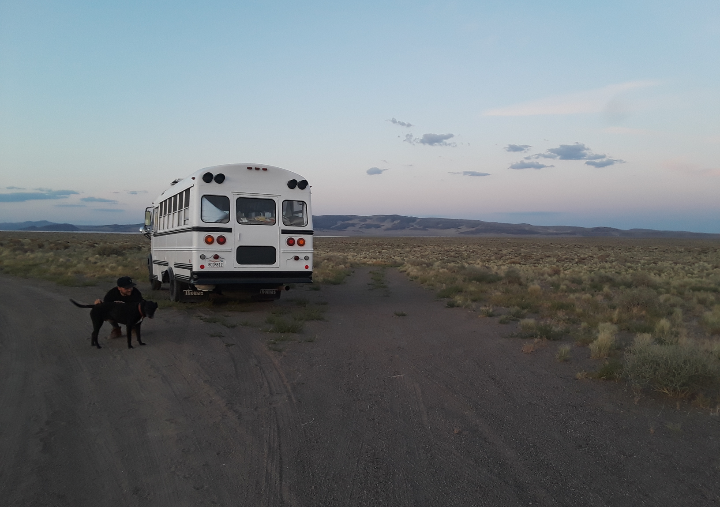 WE BOUGHT AN OLD SCHOOL BUS, GUTTED IT, AND TURNED IT INTO OUR DREAM. WE LEFT TAHOE CALIFORNIA AT THE END OF JUNE TO EMBARK ON OUR JOURNEY. WE DROVE THROUGH THE DESERT, AND THE WEIRD PARTS OF THE DESERT THAT YOU ALMOST WONDER IF THEYRE REAL ( THEYRE REAL, REAL WEIRD), MIDWEST AND ALL THE WAY TO THE SWEET SOUTH! WE USE OUR BUS AS OUR OFFICE, STUDIO WORK SHOP, AND RETAIL FRONT. OH AND IT'S OUR FULL LIVING IN HOME, BUT WHEN ITS IN SHOP MODE YOU ALMOST COULDNT TELL! WE WILL BE IN NASHVILLE TENNESSEE TILL THE END OF OCTOBER NETWORKING WITH NEW SHOPS AND COMPANIES, DOING POP UPS AND EVENTS! FOLLOW OUR JOURNEY!